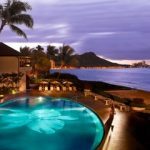 Oahu is, perhaps, the most-visited Hawaiian island and is known for its dazzling Waikiki Beach lined with skyscrapers and luxury resorts. Honolulu is bustling with tourists enjoying the many activities and attractions of this heavily-populated area of the island. However, maybe the best-kept secret of the island can be found along its less-traveled northern shore. 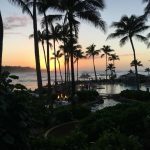 Wailea is home to one of the most beautiful walking paths in all of Hawaii. 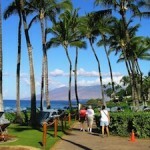 The views, colors, landmarks, beaches, and people-watching far exceed the five-star rating for which Wailea is known. This exhilarating outdoor diversion is a great way to start your day, and it won’t cost you a nickel.